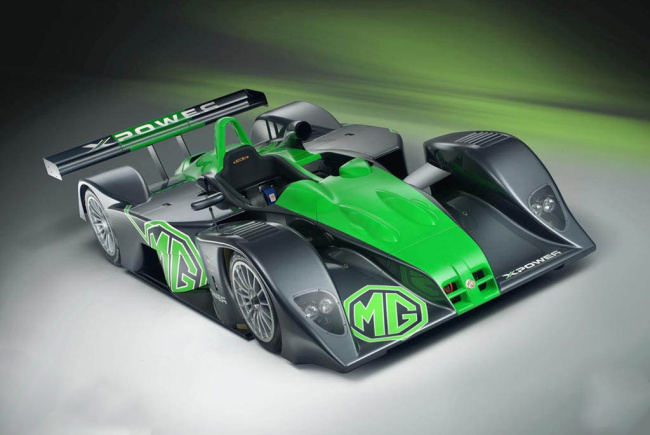 MG Motor UK announced yesterday that they will be returning to the motorsport world in 2011 by partnering with Le Mans contenders and Lancashire-based Team RLR. The team will use the MG Lola EX265 sports prototype (see above) to compete in the remaining races, which will take place at Silverstone and Estoril (Portugal). The deal with Team RLR follows an outstanding record of success in endurance racing as a factory team between 2003 and 2008, including two class wins in the Le Mans 24 Hours in 2005 and 2006. Team RLR drivers Barry Gates, Rob Garofall and Simon Phillips have contested all three rounds of the Le Mans Series in 2011 so far – including Le Castellet, Spa Francorchamps, and Imola. With the MG6 GT, MG6 Magnette and forthcoming MG Zero Concept and now the MG Lola EX265 a regular contender in the LMP2 class of the Le Mans Series, MG is back on the track and once again capturing the imaginations of fans both on and off the track.